Looks like this article is a bit old. Be aware that information may have changed since it was published. 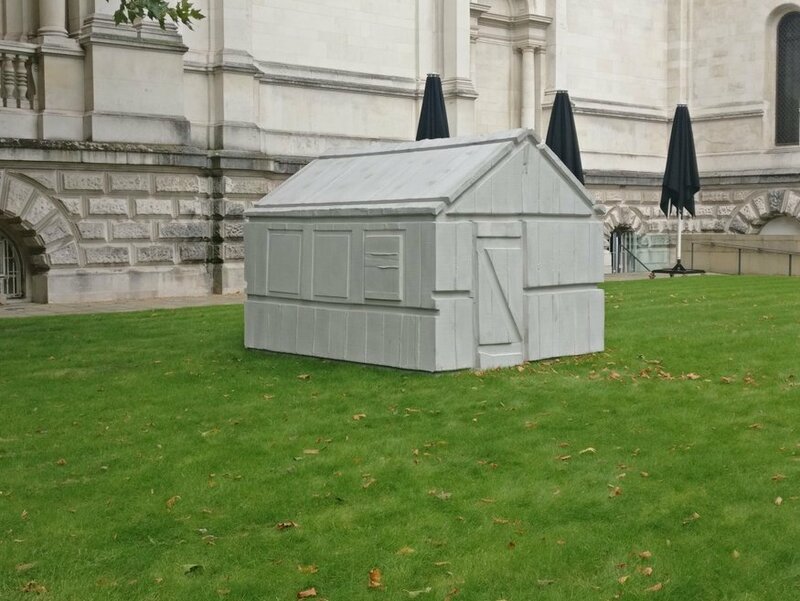 This cast of a chicken shed on the lawn outside the front of Tate Britain. 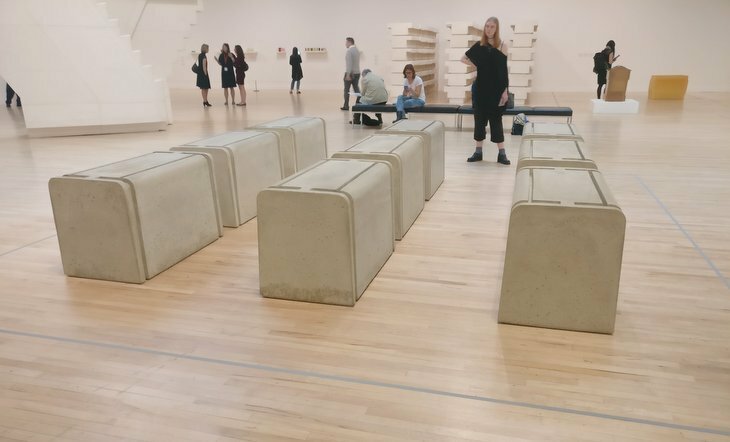 Everyone appreciates space, but not in the way artist Rachel Whiteread does. She likes to fill it up and create casts out of it, whether from the space under the seat of a hundred chairs, or the massive emptiness within a stairwell — all is game for the casting treatment. 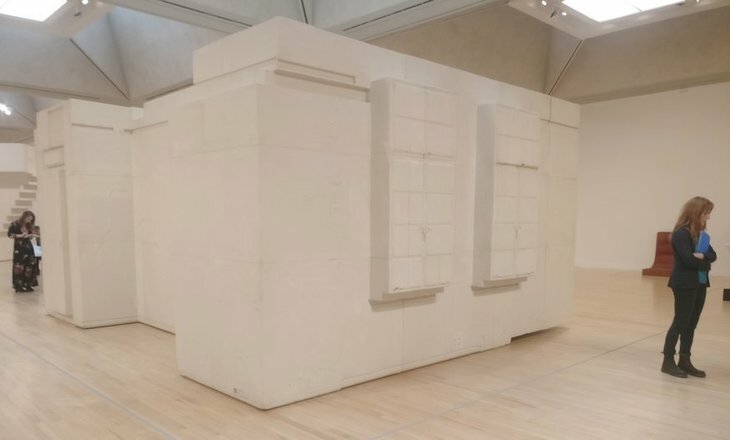 If this concept sounds familiar, you may be remembering Whiteread's fourth plinth sculpture — she cast a copy of the plinth and placed it upside down on top of the original. We love this cast of the spaces between bookshelves and the little details of books impressed upon the cast. 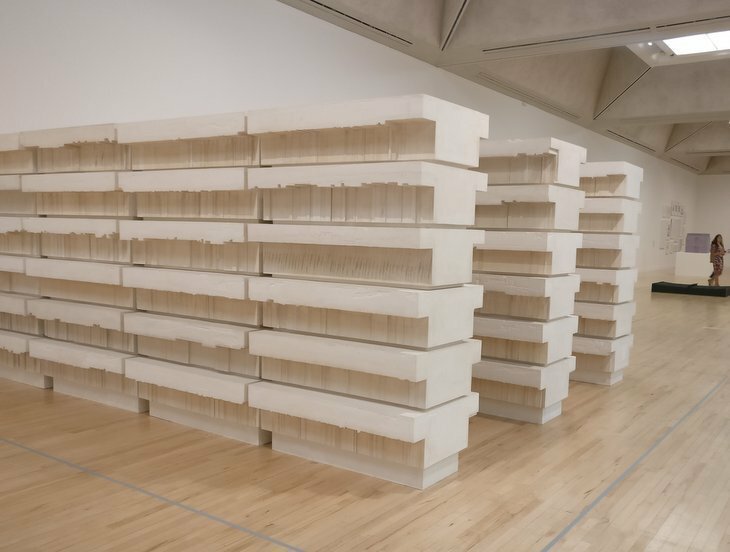 There is very little that Whiteread won't cast. A chicken shed stands on the gallery lawn; each detail of the planks of wood, doors and hatches is beautifully executed — the locks are clearly visible, even the graining. 100 chairs have had their undersides cast for the Duveen galleries. Many of these casts are monstrous, including one of an entire room. We particularly like one of the spaces between lines of bookshelves with all the indentations of books leaving their impressions on the cast. To give some of these sizeable works room to breathe, the Tate Britain has gone all out, and taken down walls. It's a brave idea, and one that works to great effect, meaning we can see the place as we never have before. Whiteread has included other sculptors to complement her work, like this piece by Richard Deacon. 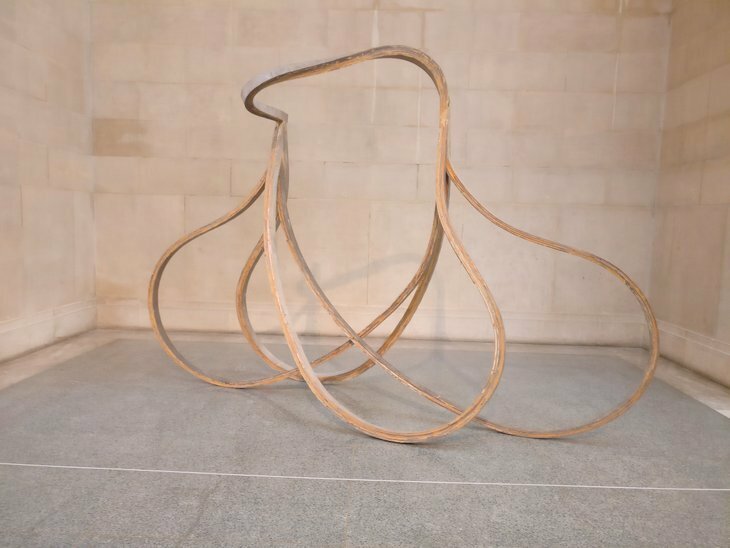 The exhibition galleries don't constrain the show, as it continues into the Duveen galleries where Whiteread has chosen other artists to complement her work, with massive sculptures like an industrial and meshed Anthony Caro and a swirling wooden work by Richard Deacon. It's a bold choice for an artist to show others, who also create large scale sculptures that are very different to her own. An entire cast of a room dominates the exhibition. Yet as visually striking as this all is, the show does bring to light that Whiteread makes casts, and that's pretty much it. Ironically her three dimensional work shows how one dimensional she is. The exhibition is impersonal, and we're seldom told what made the artist want to cast certain objects — further adding to the difficulty of engaging on more than a surface level. A great novelty to begin with, but we're left feeling a little empty. 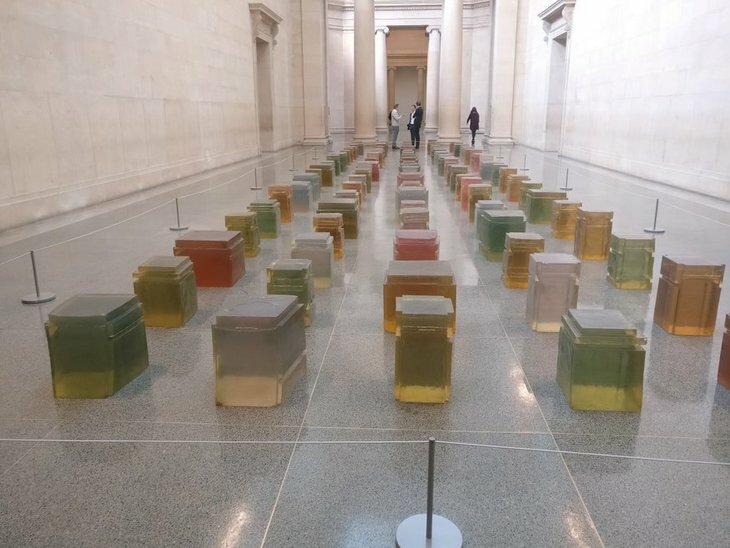 Rachel Whiteread is on at Tate Britain until 21 January. Tickets are £15 for adults.